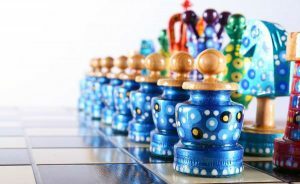 There is certainly plenty of information about chess to find online, but did you know that there are also several chess museums throughout the world? These important landmarks of chess culture go almost unnoticed in cities and towns around the world. Who knows, there may even be one in your own backyard! 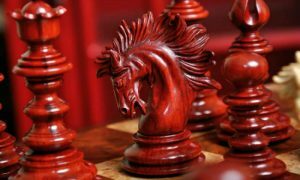 While many other museums may have the odd chess piece or board with some historical significance, a chess museum will be fully committed to only containing items that are related to the game of chess. 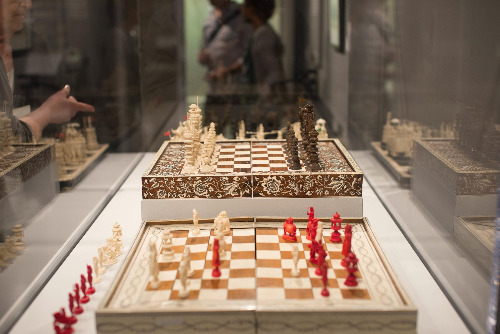 Here are the top four chess museums and chess exhibits from around the world that are definitely worth a visit. Don’t forget to pack your travel chess set too! 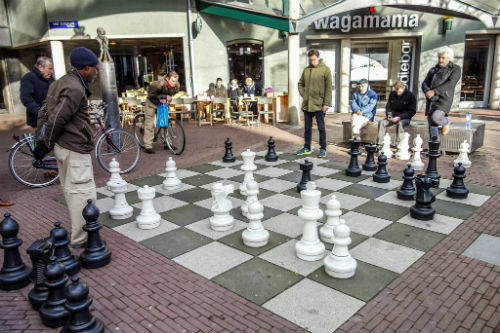 Not only is chess a popular pastime for people who live in Amsterdam, but there is a museum there that is popular with chess enthusiasts from all over the world. The museum is located close to the Leidseplein, which is one of the liveliest squares in the city. The building contains a chess hall, a library, office, and the small museum dedicated to our favorite game. The museum focuses many of its exhibits on the life and history of Max Euwe, who was a World Chess Champion from the Netherlands. The museum is actually set up in a building with a bit of a dark past. It was the former site of a Nazi prison. The building has retained its thick walls and notable prison windows. Outside is a monument of Max Euwe and a memorial plaque for the WWII prisoners. No chess museum can be complete without its own giant chess set outside for playing live chess. There is also a computer in the museum where you can play a game of chess and test your skills against the software. 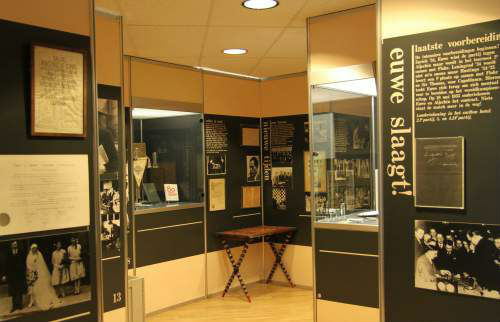 The museum details the history of chess and the life of Max Euwe, who lived from 1901 to 1981. He has the distinction of being the World Chess Champion from 1935 to 1937. 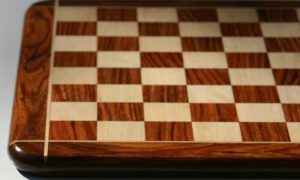 The chess collection has copies of photographs and documents, as well as actual chess sets and chess books. Admission to the museum is free. 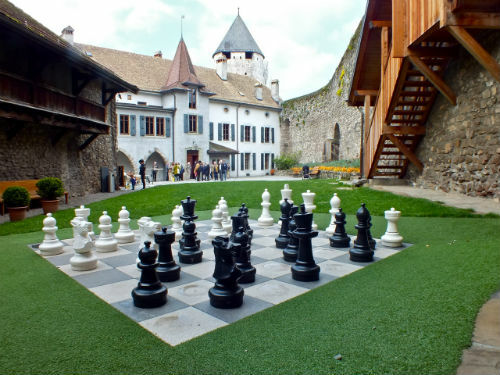 The Swiss Museum of Games is located in La Tour-de-Peilz in Switzerland, on Lake Geneva. While the museum isn’t completely dedicated to the game of chess, it does feature many ancient to modern games, which naturally include chess. In 2015, over 15,000 people visited the museum. The entire museum had an extensive refurbishment in 2017, and the new and improved building is now accepting visitors again. 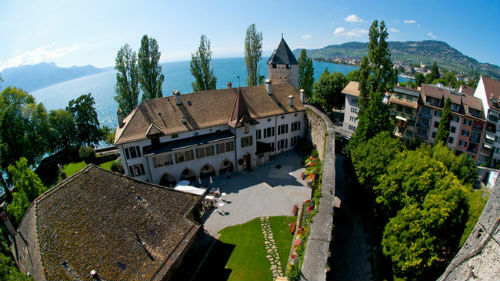 The museum is located in a main castle fortress in the city, between Vevey and Montreux. It opened in 1987 and is part of the castle’s permanent collection. Within the collection is an entire room dedicated to the game of chess. The chess room is part of the library in the museum. The castle’s origins date back to the 13th century. Unfortunately, much of the original fort was destroyed during the early 16th century. Most of the structure that remains today was built in the 18th century as part of a restoration effort. The lowest part of the castle contains displays for the public to view, but the Museum of Games is located on the upper floors of the castle. Besides the games room, there are many chess-related events held here each year. 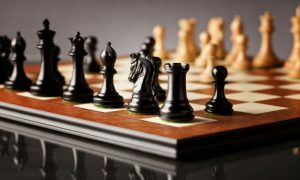 These include conferences, events, special chess game evenings, discussions about the game, and various social events. On display in the chess room is the collection of David Pritchard, who was a British game expert and a games consultant. The museum also has chess sets on display from around the world. The World Chess Hall of Fame is located in St. Louis, Missouri, USA, and is dedicated to the game of chess and its most notable players. Not only does it offer museum displays, but also programming for chess fans from all walks of life. 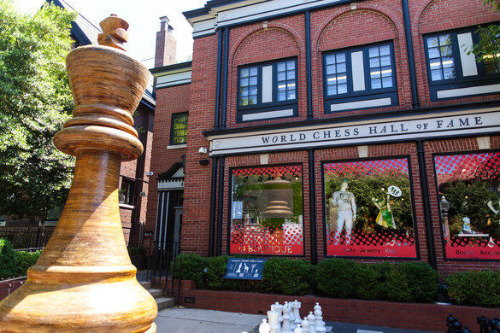 The World Chess Hall of Fame In St. Louis, Missouri, USA. The World Chess Hall of Fame opened in 1986. It originally opened in New Windsor, New York, as a very small museum collection. In 1992, it was purchased and moved to Washington, DC and then to St. Louis in 2009. The current building is located right across from the chess club and scholastic center of Saint Louis, in the central west end neighborhood. The museum has both temporary and permanent exhibits about the great chess players of the world and the history of the game. It collaborates with the Scholastic Center to provide programming and instruction to youth interested in chess. One of the most notable exhibits is a 500 year old Egyptian game piece from Senet, the earliest known board game. 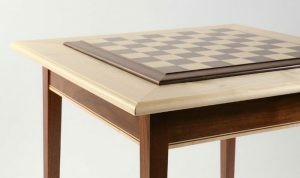 The collection also has chess furniture that used to belong to Bobby Fischer, and the first commercial chess computer game ever made. The museum puts on two temporary exhibits per year, so it’s worth a second visit if you’ve been there in the past. The museum also celebrates the history of some of its most famous chess players who are currently members of the Center. The British Museum is one of the largest museums in the UK, but while they don’t have a dedicated room for chess, they certainly have one of the most famous of all chess sets. This set was actually found in a bay, and dates back to the 12th century. The Isle of Lewis Chess Pieces Exhibition at The British Museum. The set was found in the Outer Hebrides in Scotland. The pieces are meticulously carved from walrus ivory. 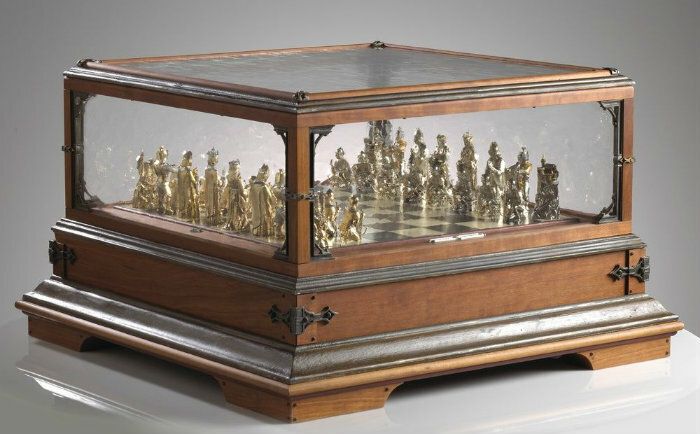 The set was found in 1831, with 78 chess pieces and 14 tablemen. Of these, 82 are on display at the British Museum, with the remainder on display in the Museum of Scotland in Edinburgh. 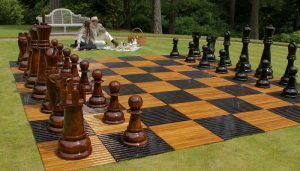 The pieces have a medium-gold color which suits chess pieces. It’s believed they were probably made in Trondheim, Norway. The set consists of 8 kings, 8 queens, 16 bishops, 15 knights, 12 rooks, and 19 pawns. The pieces measure 3.5 cm to 5.8 cm for the pawns, and 7 cm to 10.2 cm for the others. It’s believed that these pieces were meant for five different chess sets. All of the Isle of Lewis chess pieces are of human figures, except for the pawns that were carved into geometric figures. It’s unknown how the pieces got into the sand bank, whether from theft, shipwreck, or simply loss, but we’ll never know now. If you’re inspired to visit the chess museums of the world, you may want to pack your travel chess set and start planning your next trip. While there are only a few museums that have dedicated rooms for chess, you can find chess sets on display in many history museums too. 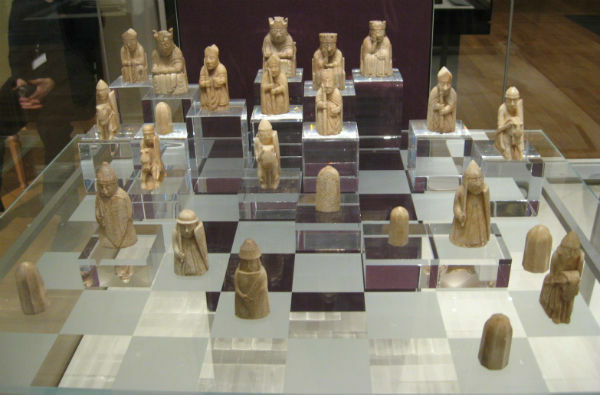 The British Museum contains one of the only surviving medieval chess sets, so it’s definitely worth a trip. If you’re planning on traveling, grab your travel chess set and your suitcase, and have a look to see if there is a chess exhibit in your destination city. You never know when an average trip will turn exceptional when you can combine two of your favorite interests—chess and traveling!